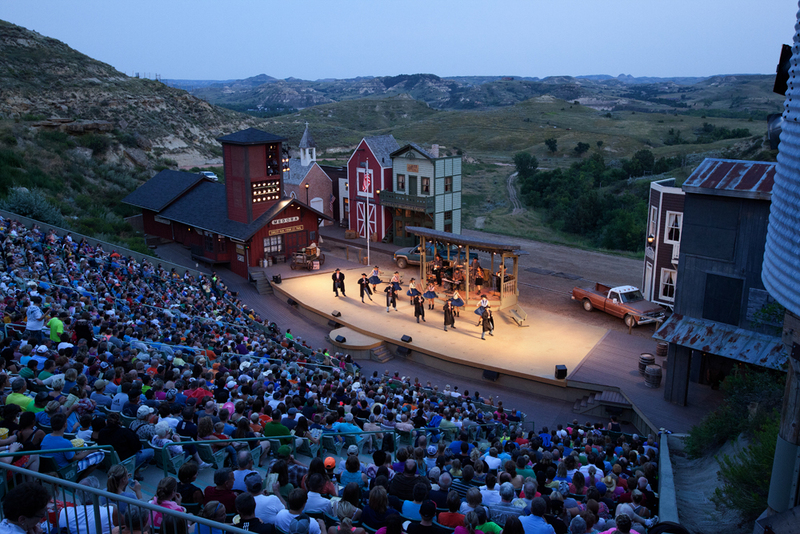 The Medora Musical is a two-hour professionally-produced musical variety show performed in the outdoor Burning Hills Amphitheatre located in the heart of the North Dakota Badlands at Medora. We leave the Black Hills and head north to Belfield ND making comfort stops & lunch stop en-route. We arrive in Medora early afternoon and check into our hotel. After some time to freshen up and explore downtown, it’s off to the famous Pitchfork Fondue… mmm delicious. 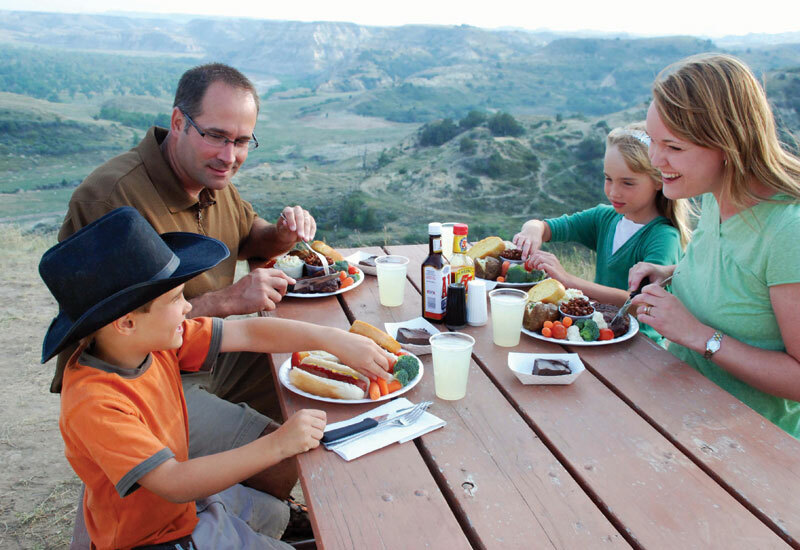 We will enjoy a unique western meal with a magnificent North Dakota sunset as a backdrop… savor your steak while you are serenaded with western melodies performed live by cast members of the Medora Musical. Supper is served at the Tjaden Terrace adjacent to the Burning Hills Amphitheatre. Menu: New York Strip Steak fondued on a pitchfork, baked potatoes, baked beans, coleslaw, fresh fruits and vegetables, garlic toast, double chocolate brownies, lemonade, coffee, and water. Additional beverages available for purchase. After supper then it’s time to go to our reserved seating for the Medora Musical. You will enjoy a mix of modern country, western, gospel and patriotic music plus a talented cast of singers and dancers from across the US. There’s everything from live horses on stage to nationally known variety acts. Sit back and revel in the historic, patriotic themes dedicated to Theodore Roosevelt. A great fun filled evening suitable for the whole family. After the show we return to the hotel for overnight.